RN8A1335.jpg, originally uploaded by harmonweddings.com. Steve entitled this set "green screen gone wrong," because he was working with a green screen and wanted to apply some very specific effects. He finally decided he had pushed the images as far as he could, and opted to black & white them all. I still think they came out great. This shot, to me, is so cute. 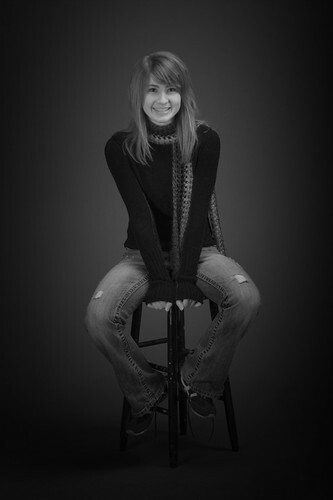 Great example of a classic senior portrait, with personality and flair. Not stiff, not posed, just cute, smart, full of energy, even seated.